Guess I may as well unsubscribe now. I just seems wrong to me that you got 48,290 exp in a single shot (I assume for a quest turn in). MMOs have a problem with scale. The numbers are just so huge. That said, it works. The stat/damage/xp jump didn’t bother me one bit, and I’m sure it gave the older players the feeling that their char was evolving somewhat. Heh… I’m still a huge fan of the 25 point stat system of AD&D where getting a single point of bonus on an item was rare but also noticeable and important. Camp checks at thriving Old World zones….Unrest….Mistmoore….Lockjaw to Dock’s all over again! Woot! Congrats! If I could focus on one character I’d probably be there by now myself. But, as usual, I am all over the board. Congratulations! Although I hear you on the ‘may as well unsubscribe’ thing. Hah. That could have some rather interesting potential, I suppose. I bet they wouldn’t be very good though. grats! I hope to be there sometime in the next month or so. 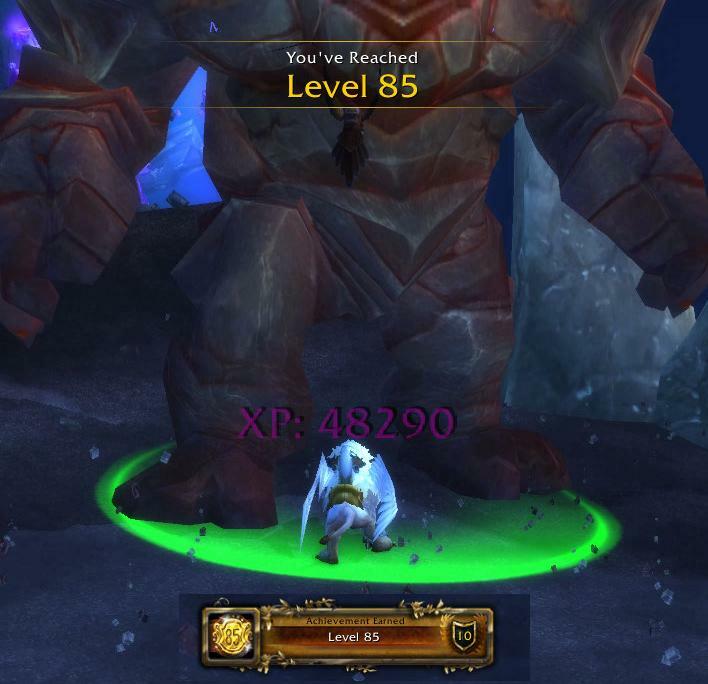 I’m level 69 and climbing! Then prolly back to EQ2 to finally cap a toon there.